The availability of dual citizenship is a question which in different countries solved in different ways. In the Russian Federation such citizenship is allowed, however the law has many nuances. In law distinguish between dual nationality and two nationalities. In the first case, the citizen acquires a second citizenship after receiving permission from the state. Speaking of two or more citizenships, the lawyers have in mind a situation in which the person receives a second citizenship without informing the state authorities of the country whose citizen he is originally. In Russia it is possible to have a second citizenship. The citizen of Russia to realize this right, according to the 62nd article of the Constitution. 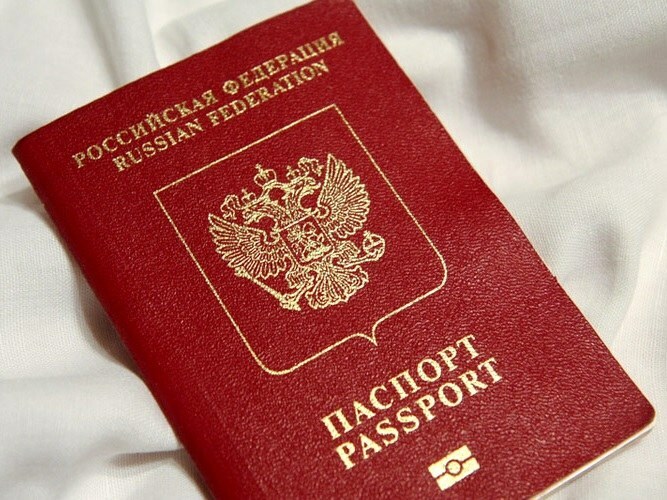 The presence of foreign citizenship does not affect human rights and does not exempt him from the duties imposed on him in connection with the presence of Russian citizenship. With regard to foreign citizens and persons without citizenship, they get to Russia the same rights and the same duties as the citizens of the Russian Federation. Except in the cases established by the Federal legislation and international treaties of Russia. This status is given to nationals of countries with which Russia signed a contract stating the mutual recognition of the two nationalities. Both passports are recognized in this case is equivalent to how Russia and its partners. To date, Russia has similar agreements with Tajikistan and Turkmenistan. If a person has dual citizenship, he has the rights of both States. To solve the issues related to taxes, social security and military service, the citizen is obliged in one of those two countries where he lives permanently. It is worth noting that men who served in one of the States cannot be summoned in another. Children of persons with dual nationality will also be deemed citizens of both countries. The law does not prohibit Russian citizen to obtain citizenship of another state. However, it is not recognized in Russia and in its territory is not valid. In other words, if the person has the citizenship of not only Russia, but also, say, the United States, in Russia he is considered a Russian citizen, in America American. With regard to third countries, then they are allowed to live through one of the passports – the choice is up to man himself. When the second citizenship is not required to inform the authorities of the Russian Federation. In addition, most foreign countries do not usually inform the consulates of other countries on the fact of acquisition of their citizenship. By law any citizen of Russia may also have a second citizenship. For someone the need to obtain a second citizenship due to family situation, for some it's a means of possible deviations, the means to start life anew. Most Russians think about the citizenship of Canada, USA or UK and also about the so-called "buying citizenship" for investment. Thus, you can "buy" citizenship of the small island States, for example, Saint Kitts and Nevis. Canadian citizenship is useful because it allows visa-free travel to this Europe and the United States. For citizenship of Canada must first issue a permanent residence (permanent residence) in Canada, since the necessary condition for obtaining canadian citizenship is a physical presence of a person in Canada for at least three years to relocate. In Canada there is a so-called residency requirement. If you want to get citizenship of Canada, you must prove that you were physically in Canada for 1095 days or three years of the last five years. 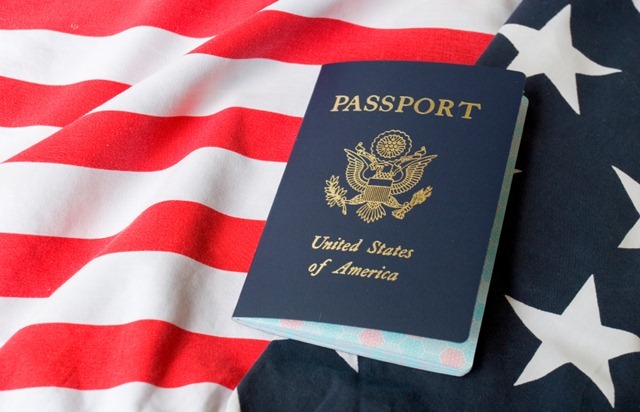 US citizenship necessary for those who are going to work in the US government agencies. To obtain the citizenship of the United States any person born in the United States or in the territories they belong (by right of soil). A child born abroad to parents of U.S. citizens will also be a US citizen (right of blood). All the rest, first you need to issue the Green Card. This is a permanent residence permit, which is not always a guarantee of U.S. citizenship. Permanent resident States, you can stay for life. Standard period of naturalization in the United States involves a permanent residence in the United States for five years, and for those who are married to a U.S. citizen for three years. It is important to know English language on a working level and have no criminal record. British citizenship can be acquired by right of soil (if the child was born in UK a citizen of UK, he is a British citizen), the law of blood (if one of the parents of the child is a British citizen, the child is also a British citizen), citizenship, registration, as well as through adoption. Most often the citizenship of the UK get through naturalisation. The time for obtaining citizenship through naturalization depend on whether the applicant is married to a citizen of the UK. If he is married, then naturalization will be shortened to 3 years, and if not, then 6 years old. It is also important to know English. The so-called "citizenship by investment" can be obtained on the Islands of Saint Kitts and Nevis. The amount necessary for citizenship investment varies from 200000 to $ 350000 $ depending on the field of investment. The essence of the citizenship by investment that subject to a certain amount in a particular sector of the economy, the investor and his family get citizenship of Saint Kitts and Nevis, even if they are not living and do not reside in this state. Roughly the same can obtain citizenship in the other States (for example, in Dominica, Austria). According to the Constitution, the Russians may obtain dual citizenship in two ways: either with the consent of the state or without. However, to date the knowledge and consent and legal recognition of the Russian state can only be obtained second citizenship of Turkmenistan or Tajikistan. With all the other countries of the world Russia has not signed the relevant Treaty. Therefore, even if the Russians draws the second citizenship of other countries, his native country, he is not considered a dual citizen. Decide in which country you want to get a second citizenship. Every domestic law provides their rules and regulations regarding second citizenship. In any case, keep in mind that for Russia, you will remain a citizen of one country (unless the second citizenship is not Turkmen or Tajik). To issue dual citizenship in Germany you either have to be an ethnic German immigrant, or a Jew. Accordingly, you'll need documents (birth certificate, passport relatives) confirming your nationality. If you are you in Germany for more than seven years, you can apply for Panamanian nationality. However, in this case, you have to officially renounce your first citizenship, that is the law of this country. According to the Israeli Law of return from 1950, you can apply for dual citizenship in this country, if you can prove your Jewish origins in the maternal line. Also on the repatriation visa can go to obtain a second citizenship in Poland. It will also require documents (birth certificate, marriage), proves that you are a descendant of Polish citizens, for example, taken to Russia during the Second world war. In some countries it is possible to arrange dual citizenship for investments in the economy of the state. This practice exists in Dominica and other Caribbean countries as well as in Austria, Montenegro, Canada (this will also require good knowledge of the English language, which will be checked by the tests). Design of dual citizenship in Australia, UK, USA, Brazil, Cyprus is possible only after naturalization, that is, longer stays and work in the country. Naturalization in some cases, provides first registration of permanent residence (permanent residence) and, of course, an excellent command of the official language of the country of which you are going to become. Assistance in obtaining dual citizenship have various immigration agencies, you can find them on the Internet. Cost of services depends on the country whose citizenship you need to register. Political and economic instability in many countries, forcing citizens to think about safety and their loved ones. This is especially true of former socialist countries. To protect the family from political and economic disasters, people decide to emigrate. The greatest demand in this matter are the countries of the old world (European countries) because a significant portion of them grants the right of dual citizenship. Despite the fact that in most of these States, this feature is not legalized, residents with dual citizenship are many. 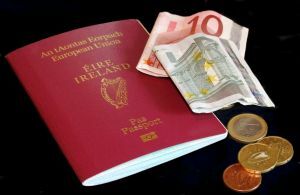 Dual citizenship in Europe can improve the quality of life and provides the opportunity of free travel almost all over the world to keep their money in European banks, to expand its international business and much more. Besides getting rid of red tape: visas and other documents. European countries where dual citizenship is legalized: Bulgaria, Hungary, Ireland, Italy, Cyprus, Romania, Slovakia, Turkey, France, Switzerland. The European States which strictly prohibits dual citizenship: Andorra, Belarus, Malta, Monaco, Lithuania, Poland, Croatia, Estonia. That is, in these countries, you can be a citizen only of that country and be responsible for the laws of this state for the duration of the stay in its territory. In all other countries, the amendments allowed for the possibility of dual citizenship. For example, if the issue of Czech citizenship and moved to this country to reside in its territory in 5 years, not abandoning the status of a citizen of the state where previously resided, it is possible to legalize dual citizenship. Besides the Czech Republic, other European countries also have different nuances of design of dual citizenship. For example, in Slovenia dual citizenship may be allowed to forced immigrants and their children. In Finland, with the exception of children born and residing outside of the country, whose one parent is Finn or foreign persons who are married to Finns. In Latvia, the permission for dual citizenship can be obtained in the Cabinet of Ministers. In Iceland dual citizenship can obtain only foreigners who became citizens through naturalization. For Icelanders dual citizenship is prohibited. Denmark dual citizenship can have only the Danes married to foreigners. And dual citizenship for foreign citizens is strictly prohibited. In Greece, dual citizenship is only saved in the process of registration, then will be cancelled. In Switzerland dual citizenship have the right to only children under 22 years of age, born of Swedish parents outside the country. In Germany, only Germans with childhood, by birth or married to foreigners have the right to dual citizenship. Spain dual citizenship can receive only the residents of the signatories of the international Treaty are: Argentina, Bolivia, Guatemala, Honduras, Dominican Republic, Costa Rica, Nicaragua, Paraguay, Peru, Chile, Ecuador. In Moldova for the adoption of dual citizenship need to obtain a personal Decree of the President of the Republic. In Norway, children born abroad, get second citizenship under the law of birth or heritage. The same applies to Belgium, Luxembourg, Austria and the Netherlands.